While boarding my airplane in New York on the way home I heard two New Yorkers talking about Spain. One of them knew the country well. For the other one, it was his first trip. – Which are the must see cities? -Definitely San Sebastian, because it is the most beautiful city in the world, and Seville, because it is the most fun. 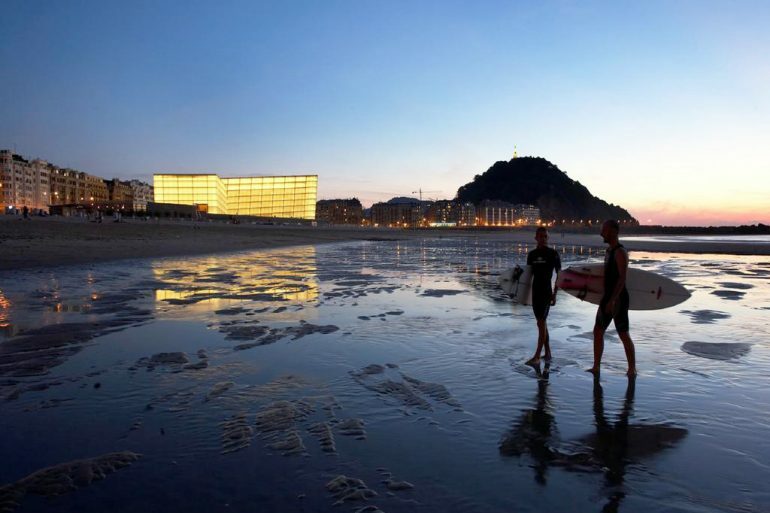 The 52nd jazzaldia starts on July 20th with concerts on the terraces that surround the Kursaal. Although the greatest show will last only a few minutes: when the Sun starts to disappear on the horizon, reflected in the huge windows that make as a backdrop for the stage. Sure that at that time the sound of a trumpet and a hoarse voice will break the perfection of the city! *Routes of bars that offer “small” snack cuisine: traditional cooking or haute cuisine in miniature.